Dr Sukhvinder Badwal is a world-renowned solid state electrochemist with more than 35 years’ research experience in fuel cells, membrane technologies, gas sensors and renewable energy systems using hydrogen. He obtained his BSc (Hons) in Chemistry in 1971 and MSc (Hons) in 1972 in Inorganic Chemistry from Panjab University Chandigarh, India. He received the Flinders University of South Australia post graduate research scholarship in 1972 and migrated to Australia in 1973. He received a doctorate degree in Materials Science from the Flinders University in 1978 under the guidance of Professors Bevan and Bockris with the thesis title â€œFluorire-related Electrode Materials for High Temperature Electrochemical Applicationsâ€. From 1977 to 1979, he was a post-doctoral fellow at the Flinders University exploring metal / ceramic interface bonding using electrochemical techniques that led to the development of novel oxygen sensors. He also worked for a short period on lead acid batteries at the Flinders University in 1979. He joined Argonne National Laboratory in the USA in 1979 where he worked as a Research Fellow on high temperature molten salt lithium batteries investigating intermediate phases which formed during battery charging / discharging. developing state-of-the-art electrochemical and diagnostic techniques to investigate materials for fuel cells and other solid state ionic devices. He was a key member of the CSIRO’s team that established Ceramic Fuel Cells Limited (CFCL) ‘ a CSIRO spin-off company based on his research on solid oxide electrolyte technologies. He was Chief Operating Officer and Director Research and Development for Ceramic Fuel Cells Limited (CFCL) during the period 1992-1997 and General Manager of Technology Strategy between 1997 and 1999 while on secondment from CSIRO. As Director R & D and Chief Operating Officer, he provided technical leadership to CFCL from 1992 to 1997, managed the entire R & D for CFCL, including HR administration, overall co-ordination and direction of the entire R & D program, budget, staff recruitments, IP safeguarding, establishment of new laboratory facilities at Clayton and Churchill, and preparation and implementation of the technology development plan. CFCL is now a world leader in developing fuel cell technology to generate highly efficient and low-emission electricity from widely available natural gas and is listed on Australian and UK Stock Exchanges with operations in Australia, UK and Germany. CFCL is selling its 1.5-2kW BlueGen units using the Solid Oxide Fuel Cell technology that Dr Badwal helped develop in its research and development phase (www.cfcl.com.au). Dr Badwal returned to CSIRO in 1999 and between 1999 and 2008 he led various teams and research groups in the fuel cell, membrane and ionic technology areas. Between 1999 and 2002, he participated in CSIRO’s â€œTowards Sustainable Energyâ€ project that involved embedding solar energy in natural gas reforming to produce hydrogen. 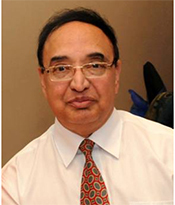 Between 2002 and 2007, Dr Badwal and his team developed world class technology in micro fuel cells, small fuel cells and PEM electrolysis for hydrogen and oxygen generation. In this area, 10 patent applications and 7 PCTs were filed covering corrosion resistant coatings, micro-fabrication of components and electrochemical cell architecture in 2007/08. In 2008-09, he was a Stream Leader of the Solar Energy, Storage and Stable Supply stream in the CSIRO Energy Transformed Flagship. He was appointed Research Group Leader of the Fuel Cell, Ionic and Storage capability in 2008. He is currently Leader of the Research Program covering fuel cell, membrane technologies, photovoltaics and energy storage capability within CSIRO Energy Technology. He has been a Member of the CSIRO Energy Technology Leadership team since 2009. He has a strong interest in the research and development of materials and technologies for sustainable, environmentally clean energy generation and storage. His research has more specifically concentrated on various fuel cells (solid oxide, polymer electrolyte membrane, micro and direct carbon fuel cells), gas sensors, membrane reactors for hydrogen generation and gas separation, ceramic and polymer membrane technologies for hydrogen and oxygen generation, and in hydrogen and renewable energy systems. Since 2001, he has participated and led projects with Oreion / Cue Energy, Queensland Centre for Low Emission Technology, Millennium Inorganic Chemicals, National Hydrogen Study, National Hydrogen Activity report for the Federal Government, Tectonica and Novatech Controls (Australia). Dr Badwal was appointed a CSIRO Fellow on 14 October 2013 (The CSIRO Fellow designation is the highest position a CSIRO scientist can achieve and is awarded to exceptional scientists who have displayed eminence in a significant field of science or engineering). He is a member of the editorial board of eight international journals and publications, has authored or co-authored over 225 Publications in international journals or conference proceedings including 5 book chapters and 13 review articles (37 of these invited), 171 Conference presentations (35 plenary, keynote or invited talks), 89 Client and Internal Reports, and holds 40 patents on twelve inventions. He has over 5100 citations of his work and an h-index of 38. He has been chair or co-chair of nine international conferences and symposia and a past member of the scientific advisory or organising committees of over 32 conferences. He has co-supervised several Masters and Ph.D. students. Member of Mechanical & Automotive Engineering, RMIT Industry / Program Advisory Committee, 2007 until now. Australian Representative on IPHE (International Partnership for the Hydrogen Economy) Fuel Cell Scoping Paper: 2004-05. Member International Solid State Ionics Society: 1985 to 2003. Secretary / Treasurer: International Solid State Ionics Society: Jan 2000 – Dec 2001. Member of Council: International Solid state Ionics Society: 1997 ‘ 1999. Member: IEA (International Energy Agency) Executive Committee on Advanced Fuel Cells: 1995 to 1999. Reviewer of Research Proposals for ARC: 1993-1997. Member of International Board of Advisors, European Fuel Cell Forum: 1997 ‘ current. Australian representative for the Solid Oxide Fuel Cell Annex of IEA Fuel Cell Program from 1995 to 1999. Chairman of Ceramic Fuel Cells Ltd Health & Safety Committee from 1992 to 1995. Member of Ceramic Fuel Cells Ltd Intellectual Property Committee from 1993 to 1999. Member of the Electrochemical Society (USA): 1980 ‘ 1983. CSIRO MIT award for One CSIRO ‘ Driving external and cross divisional collaborations related to energy technologies and hydrogen economy. Centenary Medal – for services to Australian society for research, development and energy technology and engineering.